Cyanocobalamin), Magnesium Citrate, Colour: E131. WARNING: DO NOT exceed one serving(2 scoops/13g) per day. Not to be used by those under 18 years of age. This product is to be used in conjunction with a sensible diet and exercise programme for best results. 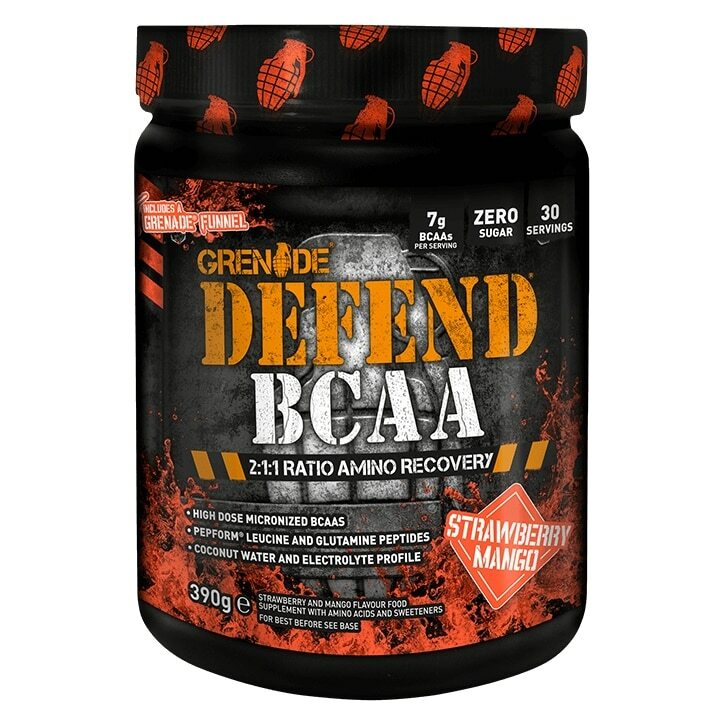 Grenade Defend BCAA is a food supplement but should not be used as a substitute for a healthy, balanced diet and lifestyle.This product is not intended to diagnose, cure or prevent disease. Store in a cool, dry place away from strong light and odours. Store out of the reach of children. Contains silica gel sachet; DO NOT consume.